Perform your Hajj and Umrah rituals 2019 with full concentration, peace, and serenity. Live the divine moments of this sacred journey to the fullest. Keep the Holy Kaaba in front of your eyes, even after getting back to your hotel. Extract all the soulfulness from every minute of your trip. 7 Nights Stay in Private Apartment Building in Makkah. 3 Nights Stay in Elaf Taiba Hotel Madinah. North American Tents in Mina. Room Access during Hajj Manasik. 3 Nights Stay in Dallah Taiba Madinah. 4 Nights Stay in Swissotell Makkah. Air-Conditioned Upgraded Sheet-Rock North American Tents. 6 Nights Stay in Swissotell Makkah. VIP Tents in Front of Jamarat. The Holy month carries special significance in the lives of all Muslim believers. Ramadan celebrates across the globe with intense fervor and festivity with preparations made well in advance. It is a month of blessings, sacrifice, and tolerance of the highest degree. All healthy and able Muslim believers are encouraged to engage upon fasting during … Continue reading "Why is Ramadan Celebrated?" The Hajj is an annual pilgrimage that is undertaken by Muslims around the world. Since it is a part of one of the five pillars in Islam, it has been termed obligatory to perform it once at least in every believer’s lifetime. This clause in particular dictates to those Muslims who are financially stable and … Continue reading "What is the Proper Hajj Clothing?" Every year millions of Muslims flock together to visit the most honorable sites located in the city of Makkah, Kaaba tullah. The purpose of this holy journey is to offer the fifth pillar of Islam called Hajj. This is the largest annual congregation of the Muslims and is a major obligatory right of all the … Continue reading "Meezab e Rahmah – The Outlet of Mercy"
Spirituality with the treat - that's what International Link Tours deals are all about! With the competent ability in business travel management alongside multiple administrations, we have designed tremendous Hajj and Umrah services for individuals, family, and groups. Due to successful operations and incessant happy clientele, our specialized Umrah Packages have been labeled as a class apart from others. We are professional hajj umrah travel agent experts with an ocean of experience and outstanding market knowledge. Owning expertise extracted from a decade's experience, International, Link Tours present Budget, Premium and Deluxe Tour Bundles to its pervasive clientage in the USA. Select a Deal for yourself, Book from our finest and meticulously crafted Hajj Packages. International Link Tours feels proud to offer exclusive Hajj and Umrah tours in 2019. We are standardized agent approved from Saudi Ministry and partners to top-rated hotels of Makkah and Medinah. We bring your experience to optimum level with reliable and quality service. Register yourself now and get a complete information kit for training and performing the rituals. We have designed customized packages that go well with the needs of North American Muslim Communities. All Packages come with customizable options that go best with your needs. From the itinerary to stay, meals and transportation, we offer premium quality hajj services and feel privileged to serve the guests of Allah. Perform Hajj and Umrah Under Most Reliable Travel Company! 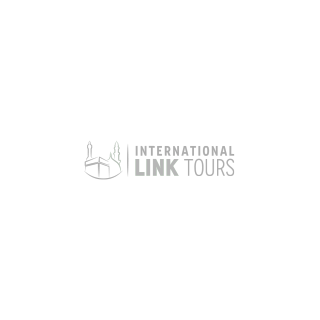 The International Link Tours fetch continuous operations for Hajj and Umrah deals around the year. Our standard packages come with Makkah and Madinah stay with multiple hotel options to coincide according to your needs. We also bring the exclusive services hajj and Umrah economical, budget, premium, deluxe and group family package with a stopover in any USA state for newlyweds and couples. Create a memorable family vacation by performing rituals and get unlimited blessings of Allah for your loved ones. Special Family and Group Offers – We Have Something for Everyone! Want to get closer to Allah ﷻ with this sacred trip and fetch His blessings for yourself and your loved ones back home? We have something for everyone! November and December is the best time for North American Muslims to avail their holiday's packages and perform Umrah Pilgrimage, and so we also bring exclusive January and February holiday offers to get you there. Gift your parents a trip to Allah’s house and get unlimited rewards for your lifetime and hereafter. We are here to take care of your requisites and bring your best for this divine trip. Most affordable Umrah plans and great services –I Link Tours did a really amazing job from the scratch. From visa paperwork to landing in the sacred land and throughout the trip –the services were outclassed and staff has been always there for support. If you want to enjoy every bit of your sacred journey –then I link Tours must be your first choice! Highly recommended! Probably the best Umrah and Hajj services offered in recent times. Visiting Ka’aba was my ultimate dream, but I was looking for the plan that comes in most affordable range. I Link Tours not only brought the best Umrah packages for the most reasonable cost but also provide premium services throughout the trip. Not only I fulfilled all the rituals with serenity but also visited the historical sites of Mecca and Medina as a plus. Muslims of US got a great deal of luxury Umrah plans in the form of I Link Tours. Just came back from my best journey of a lifetime and I wanted to take a minute and Thank you for everything! We opted for a family Umrah package of ILink tours and are really happy with our decision. Our Umrah trip was pretty spectacular and we know that it has not been that great without the help of I Link Tours. We brewed spirituality and happiness from every minute of our Umrah trip while travelling between Mecca, Medina, Arafah, Muzdalifa and Jamarat. Performed all the rituals with true spirits and composure –thanks to the quality services of ILink Tours all the way. It was really high then our expectations! Quick & easy to use system for your convenience! If you find a cheaper price, we will beat it for sure!